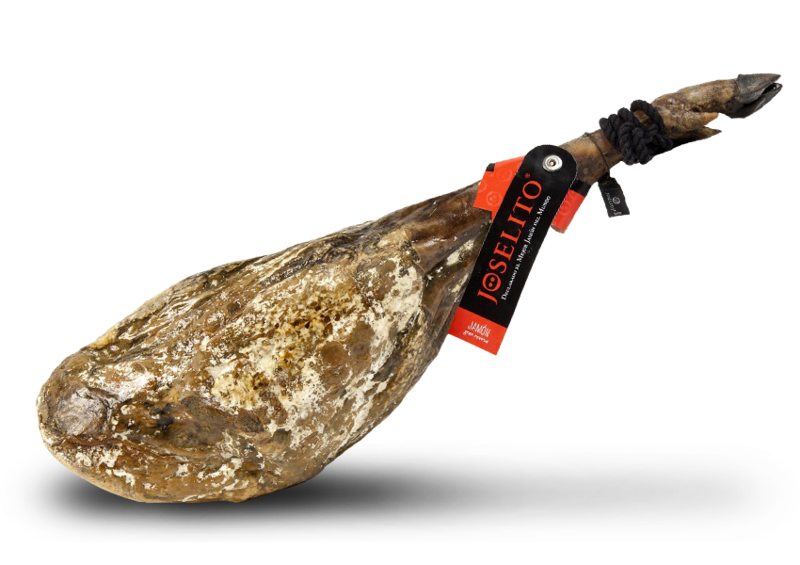 From Guijuelo (Salamanca). 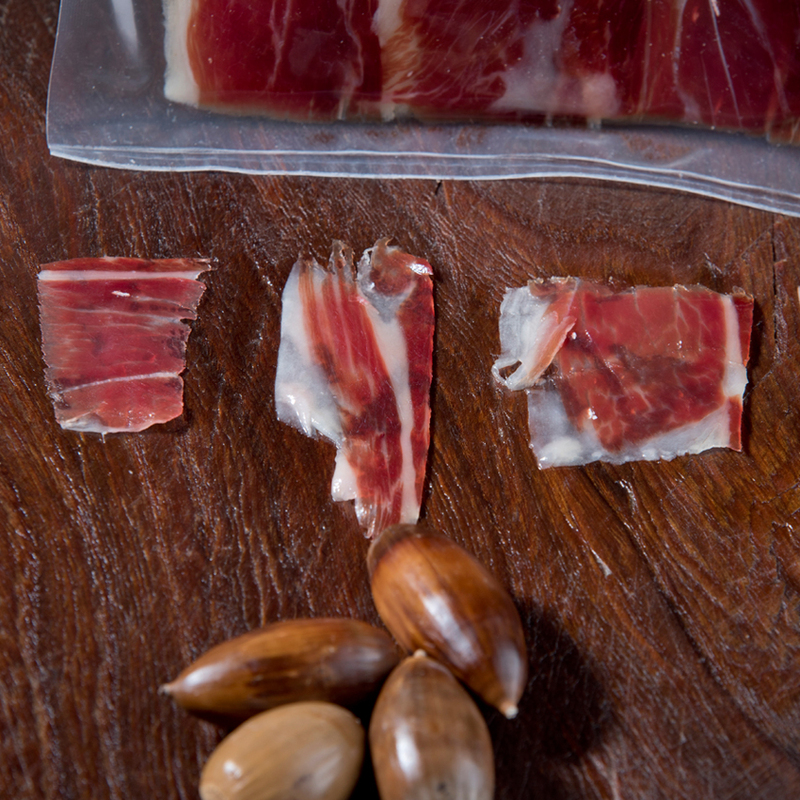 Shoulders comes from Iberian pigs fed on acorn and grass in the meadows during the mast-feeding season. 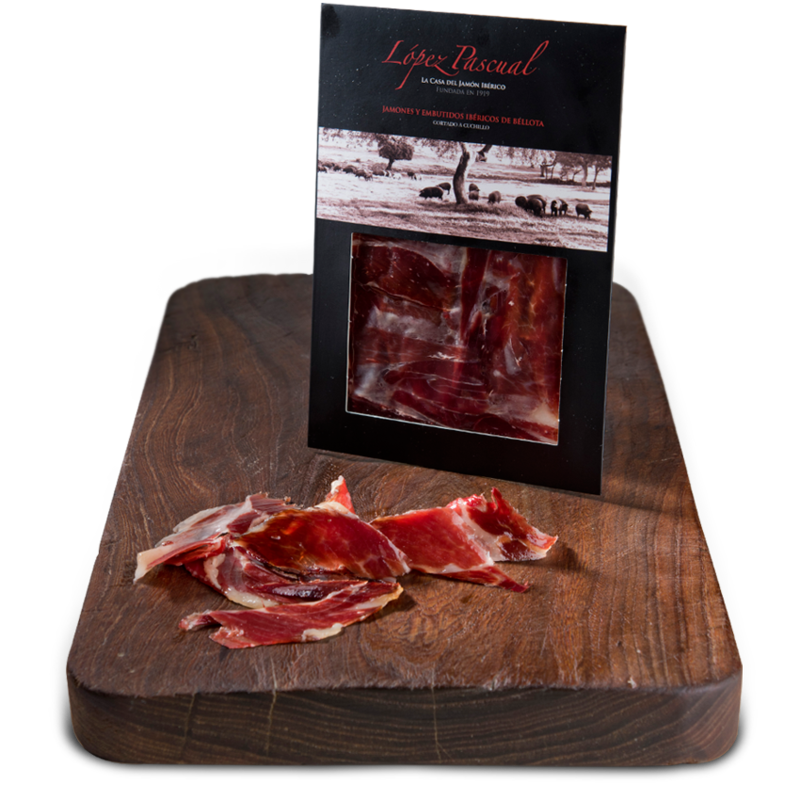 Small shoulders acquire a greater taste during the curing period due to the water and volume loss process, since they are smaller. 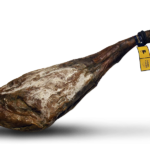 Small shoulders mature in natural caves for at least two years. 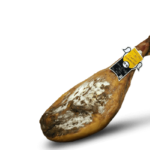 The production is limited. 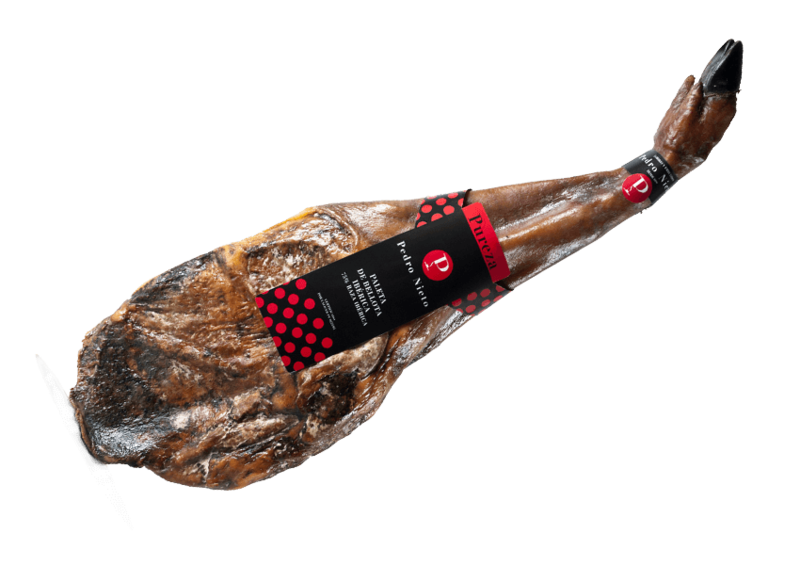 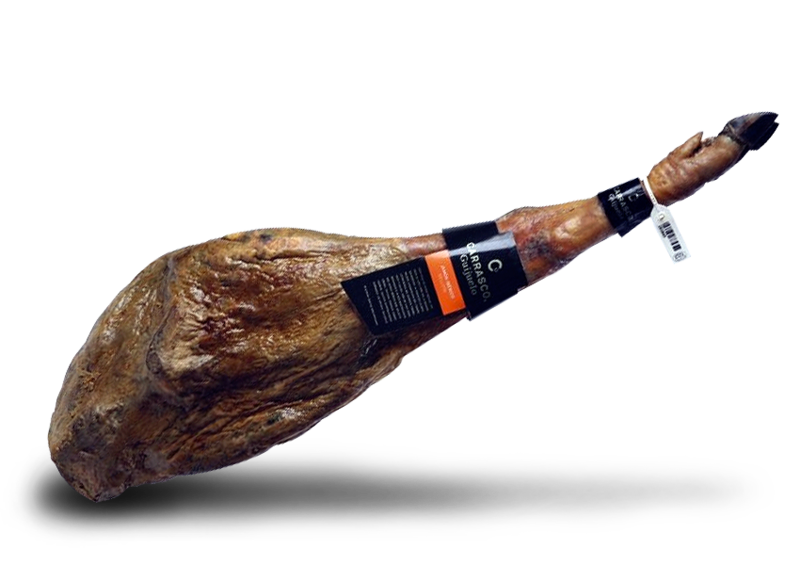 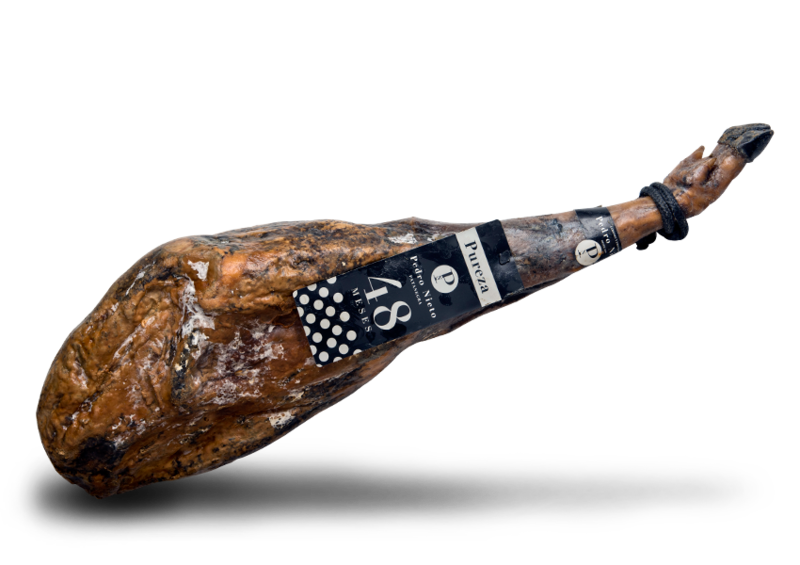 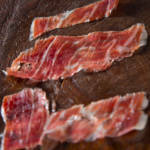 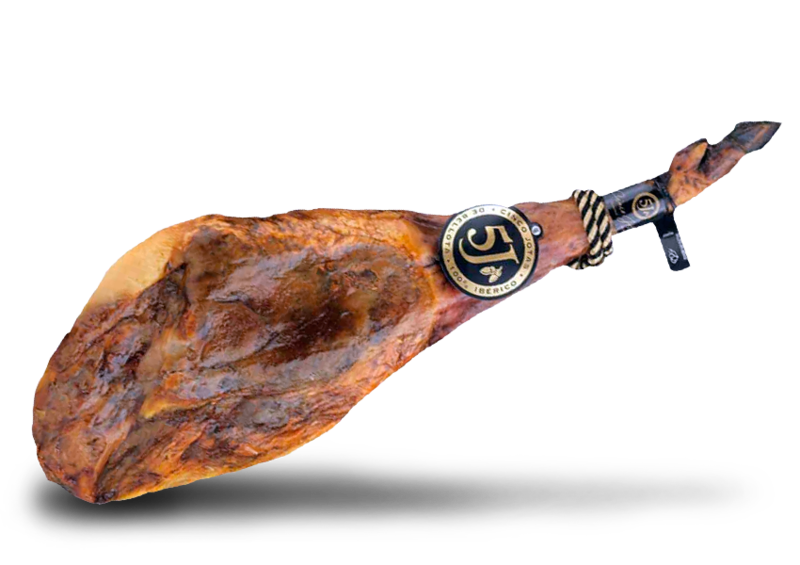 Ingredients: 75% DO Iberian ham shoulder, sea salt E 250 y E 252 preservatives.